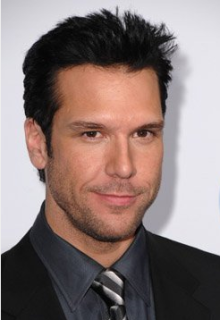 Named a “comedian phenom and icon” by Entertainment Weekly, Dane Cook has maintained his reputation as one of today’s most prolific stand-up comedians while simultaneously distinguishing himself as a charismatic and versatile actor in a variety of film and television projects. Last fall, Cook starred in his first leading role as the likable slacker Zack in Lionsgate’s Employee of the Month, leading the romantic comedy to a box office gross of over $30 million and DVD sales that topped the charts. After inking a multi-faceted production deal with HBO early last year, Cook created, directed and starred in the network’s nine-part comedy documentary series, Tourgasm and wrote, executive produced and starred in Vicious Circle, a feature-length stand-up event. Numerous upcoming film and television projects include starring roles in Touchstone’s Dan in Real Life (with Steve Carell), Lionsgate’s romantic comedy, Good Luck Chuck (with Jessica Alba), and MGM’s thriller, Mr. Brooks (with Kevin Costner, Demi Moore and William Hurt). Through his production company, SUperFInger Entertainment, Cook will also produce and star in Ex-Family for The Weinstein Company, as well as an untitled father/son comedy for Disney. Cook has appeared in a number of feature films, including Waiting (with Ryan Reynolds and Anna Farris), London (with Jessica Biel and Chris Evans), Torque (with Ice Cube), and Mystery Men (with Ben Stiller). Combining energetic physical comedy, clever wordplay and trenchant observations about human behavior, Cook’s unique brand of stand-up and accessible guy-next-door attitude have galvanized audiences of all ages. Two years ago, he catapulted to media headlines when his sophomore comedy CDx2/DVD, Retaliation, bucked industry trends by debuting at #4 on the Billboard 200. The album, which has hit double platinum, marked him as the highest charting comedian in 27 years, earning him a place alongside best-selling comedy vets Bill Cosby, George Carlin and Steve Martin. His debut CD/DVD release, Harmful If Swallowed, appeared on eight different Billboard charts and is certified platinum. Last year, Cook hosted the season premiere of Saturday Night Live, helping the program earn the highest non-sports ratings of any network that year. A highly sought-after talk-show guest, he’s appeared multiple times on Jimmy Kimmel Live, The Late Show with David Letterman, Late Night with Conan O’Brien, and The Tonight Show. For Comedy Central, he’s headlined Comedy Central’s Insomniac Tour Movie and lent his voice to Crank Yankers and Shorties Watchin’ Shorties. In addition to appearances at such venues as Carnegie Hall and Chicago’s Allstate Arena, Cook performed two record-breaking shows of 38,000 at Boston Garden, and has appeared for crowds of 39,000 at Madison Square Garden and 50,000 at the University of Florida’s Gator Growl. Raised in the Boston suburb of Arlington, MA, Cook began his career at age 18, honing his craft on the college and comedy club circuits. A firm believer in connecting personally with his fans, Cook became one of the first comics to develop and maintain his own website to reach out to audiences. He still routinely spends hours every day personally answering fans’ emails and works tirelessly to remain accessible through blogs, podcasts, and free downloads of his routines. As a result of his efforts, his website, danecook.com, now receives over 500,000 hits per month and his MySpace following has grown to an unprecedented community of 2,300,000 friends. Additionally, Cook’s popularity has been further cemented by the advent of the “SU-FI”(short for SUperFInger), a hand signal based on one of his jokes that has been embraced by fans and now appears everywhere, from tattoos and stickers to graffiti on US tanks in Iraq. In November of last year, Cook also broke ground in the music industry with the release of his first rock single, “I’ll Never Be You,” which is currently available on iTunes. Among his many honors as a stand-up comedian, Cook was named Rolling Stone Magazine’s “Hot Comic,” Stuff Magazine’s “Coolest Comic of the Year,” and the winner of Comedy Central’s Standup Showdown. Last year, his arrival on the cultural stage was confirmed when Time Magazine listed him as one of the world’s 100 “Most Influential People.” Cook currently lives in LA, where he continues to develop new comedy material and film and television projects. Do you want to hire Dane Cook? Directly request a quote. In 48 hours we can send you the availability of Dane Cook If you would like to book Dane Cook, Entertainment Booking Agency is the right place. We will offer you the best price and contact the management or we directly contact Dane Cook. For corporate appearances or speaking engagements you can contact our agents and the will help you true the process. Tags: hire Dane Cook, Dane Cook booking, book Dane Cook, Dane Cook appearances, find more information on booking Dane Cook for appearances, Dane Cook speaking engagements, Dane Cook endorsements/spokesperson, Dane Cook appearance fees, Dane Cook booking agency contact info, biography of Dane Cook, Contact an artist booking talent agent find a speakers bureau that can book Dane Cook, speaker booking agency for Dane Cook, Dane Cook booking agency, Dane Cook booking for corporate event. EBA is one of the biggest entertainment booking agencies in the World. We book hundreds of celebrities, artist, athletes and speakers in a year. Important to know is that we are not claiming to be the management of Dane Cook. We are not the official agent for Dane Cook. Companies from around the globe book these artists and speakers true our company be course we have one of the biggest networks and we always have direct contact with the artist or the management. We help you to find the right celebrities for your corporate of private events. Please contact one of our agents to get free advice and we will help to get the world-famous artist on your party.